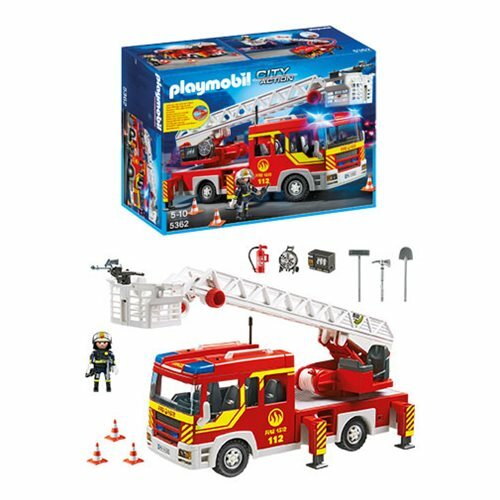 RC-upgradable vehicle with extendible ladder, flashing light and two fire service sounds (2 x 1.5-V-Micro-Batteries needed). With extendible shoring and lot of accessoires. Up to four figures can take place in the operator's cab .